Occasionally I change my focus from traditional Greek recipes to Italian ones. 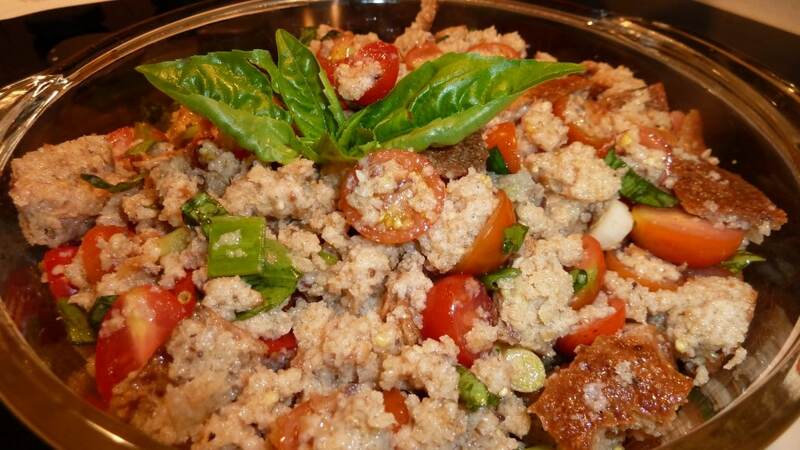 Here’s a classic example from one of my favorite Cooking Channel celebs: David Rocco’s Panzanella. 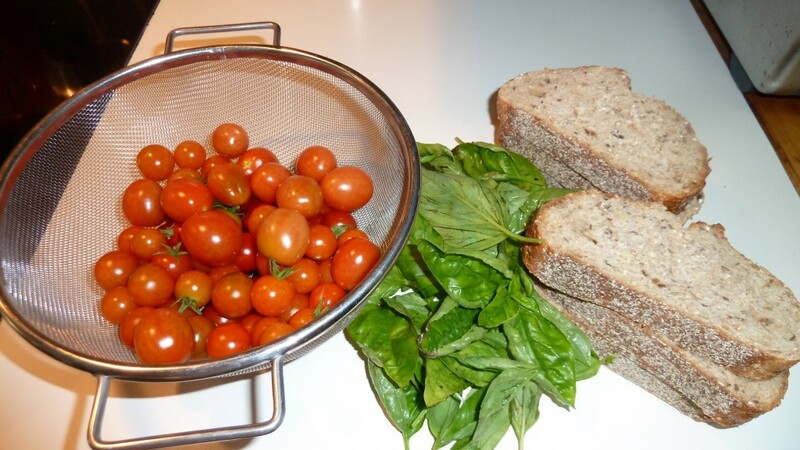 I made it with tomatoes and basil from my garden and an old loaf of multi-grain bread from the bakery. I promise you it is absolutely delicious. 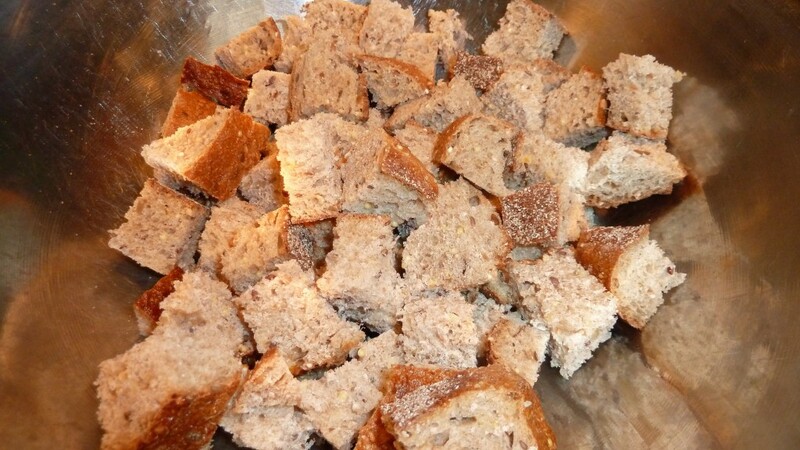 Submerge the slices of bread in a bowl of water. Use your hands to squeeze out all the water that the bread has absorbed. 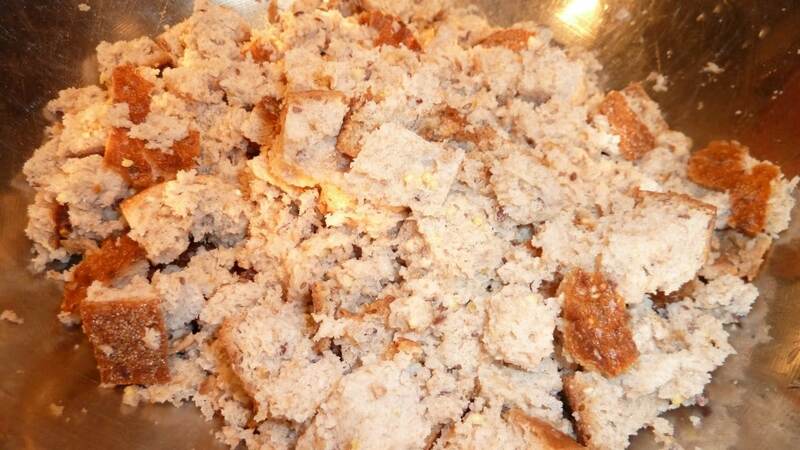 Break up the bread into small pieces and place into a large bowl. 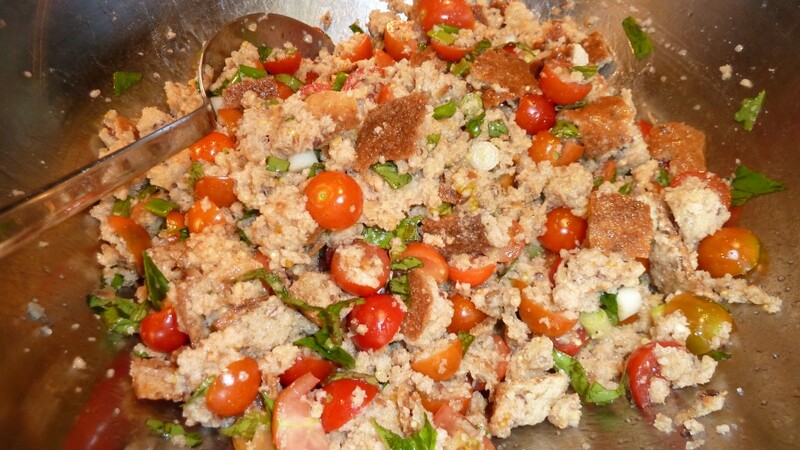 Squeeze the cherry tomato juices into a small bowl before adding the tomato halves to the bread mixture. Add the scallions, olive oil, and red wine vinegar to the bowl. Roll up and chiffonade/slice the basil leaves and toss into the salad mixture. Season with salt and pepper, to taste. Toss well. 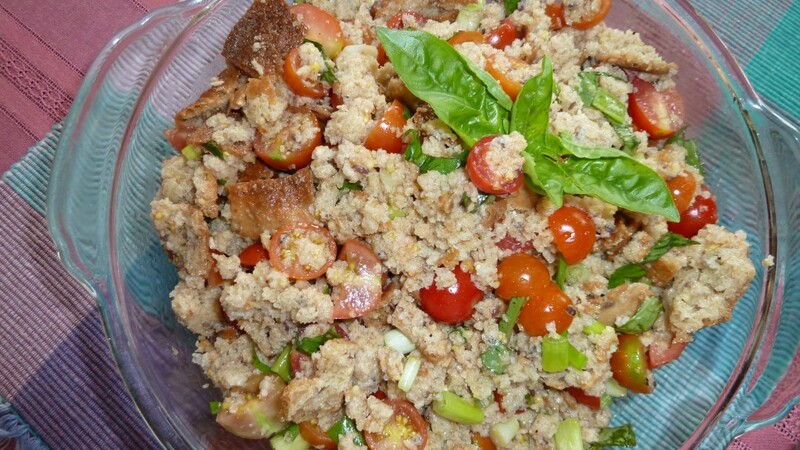 Let the salad rest in the refrigerator for a few hours for all the flavors to come together. Kali Orexi! …or should I say Buon appetito! Enjoy!